I think I have finally gotten to the point where some pictures could be posted. I'm almost embarassed to say that it's taken me almost 4 years to get to this point, but I've had so many set-backs, I've lost count. I want to thank all you guys for the technical support and parts and I think this will be the year of the "dyno"!! 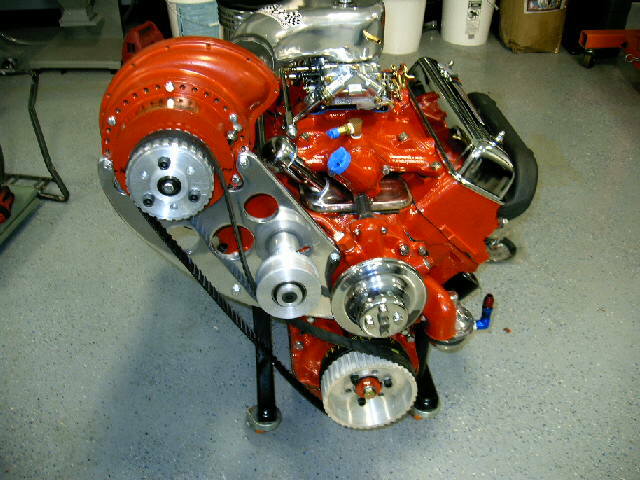 Just to re-cap, this is a C2AE block (relieved) with one of John M's 331 stroker kits. The heads are ported and polished 471's and the cam is a Comp Cam special grind#37-000-5 on 110 degree lobe centers with a gross valve lift of .491 intake and .482 exhaust. 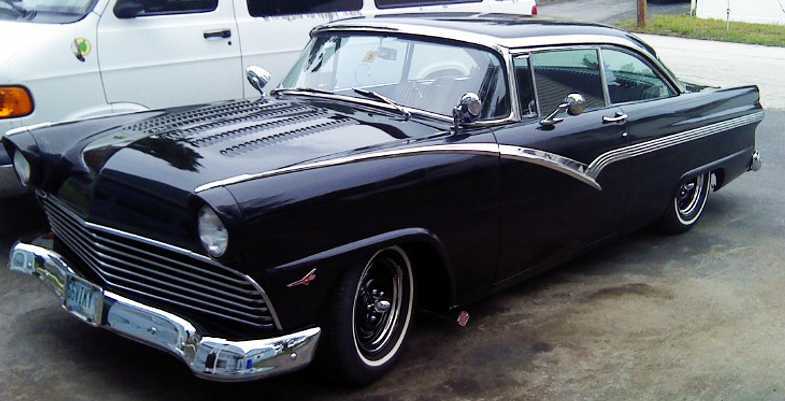 The supercharger is a McCulloch VS-57 modified by John Erb to an SN-60 with a heavy street spring pack and high output impeller that should put out 7-9 psi boost. The brackets, pulleys, belt, carb hat, etc are Gord McMillans' "Blower Kit" items which he mocks up for each individual application. 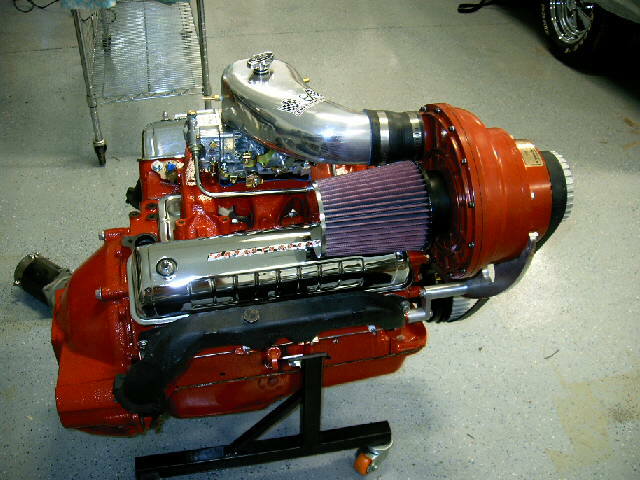 The carb is a simple Holley 650 double pumper 4150 (model 0-4777) sitting on top of a modified "B" intake. I've re-jetted it to 67 primaries and 76 secondaries. 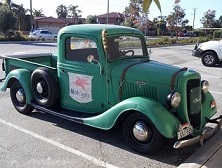 Hopefully, if all goes well, this will be going in a 37 Ford 5 window coupe that I just bought and will be going on a road trip to pick it up in a couple of weeks. I'll post some pictures of that when I get it back. Congrats!, No need to apologize for the time spent. I think a lot of us have to do it the same way. Nice work. Looking forward to the dyno video. Looks tremendous Rono. That motor could go on the cover of a book! Ron, other than rejetting carb, was there anything else to be done for this blowthrough application? thanks. regards bill. The carb hat is one of the pieces cast by Gord McMillen and comes with (cast) bracket in the blower kit. I made a cardboard template of the bracket because I was thinking about having another one made on a water jet machine. The cast bracket does have the "old school" look, but some of the pits couldn't be polished out. There were some pits on the carb hat too. I got most of them out, but there was one on the top I couldn't get so I covered it with that decal. As far as setting up the carb for "blow-through", the only things Gord suggested were to remove or wire open the choke butterfly and plug all the vacuume ports (in addition to re-jetting). I may have a problem with this because I'm not sure if this carb will be big enough under boost. So instead of using threaded plugs in all the vacuume ports I used epoxy to glue on those rubber caps that come with new carbs. If I need to sell the carb the caps can be removed. I don't think the 7-9 psi boost will blow them off, but I'm not sure. If you are using an older carb with a slightly worn throttle plate, Gord has a special part and instructions on how to prevent fuel leakage. I did nothing to the accelerator pump diaphrams (there was no mention of that with the installation manual provided with the blower kit) but in researching this on the internet, under higher boost conditions the diaphrams in the accelerator pumps need to be modified by removing the rubber flap and inserting some kind of steel ball. I didn't do this and don't think I will need to. 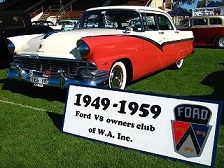 Rono, great looking setup, credit to you! 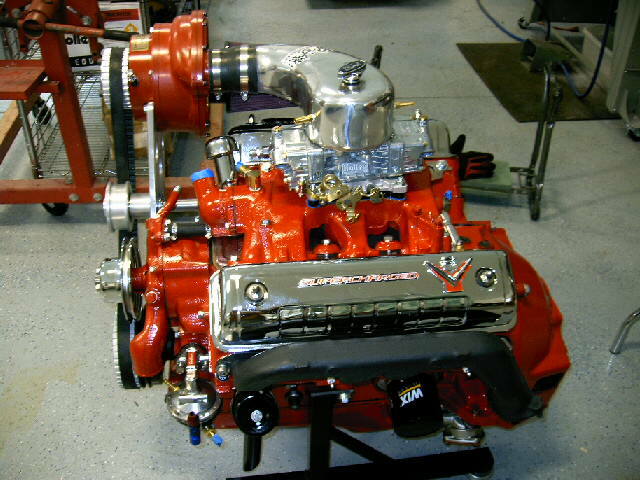 Cant wait to hear it run .. Im sure you will video.. 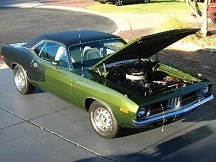 I think the carb will be on the small side, tho' your not running a lot of boost there. 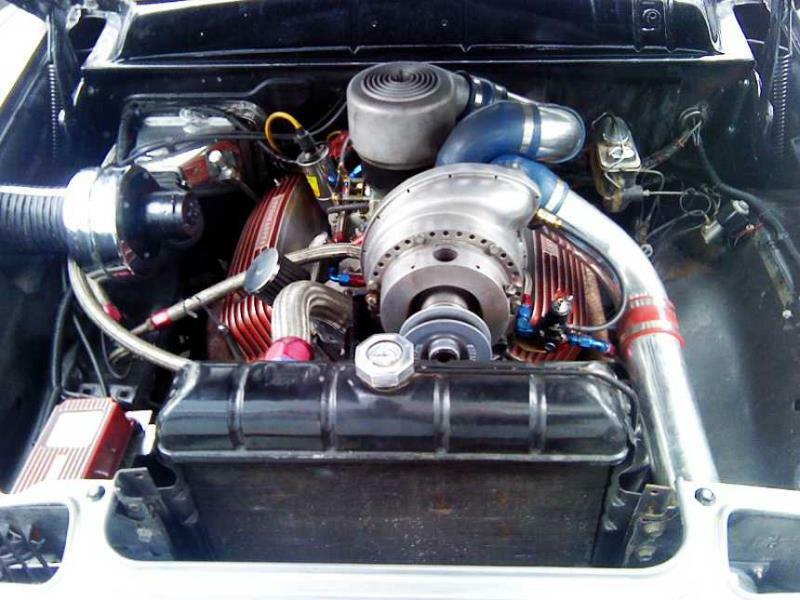 Does that carb have the special shaft seals and the floats for supercharged application? 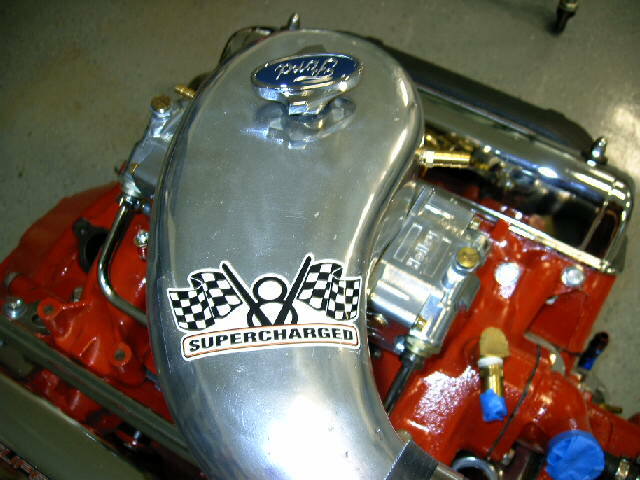 I have to ask where is the relief valve in those superchargers? Because it's a new carb with low boost, Gord never said anything about throttle shaft seals or changing over to the poly floats. I have read about the floats and as I said earlier, about the accelerator pump diaphrams, but Gord apparently doesn't change any of that. I may get some other opinions though. Yeah...I'll definately shoot a video of the dyno run. Okay Chuck, since you're speaking from experience, consider it done. Summit Racing has the nitrophyl floats for about $15.00 each. I'll change out both. Thanks for the heads-up!